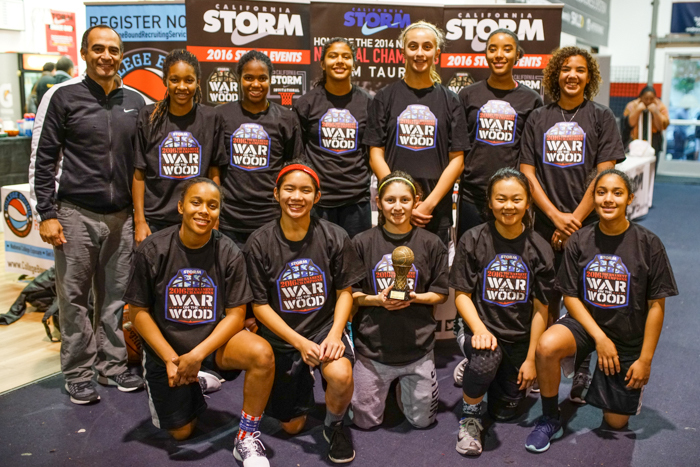 The fourth annual Cal Storm “War on the Wood” attracted 45 talented teams from Southern California, San Diego, Northern California, and Arizona. 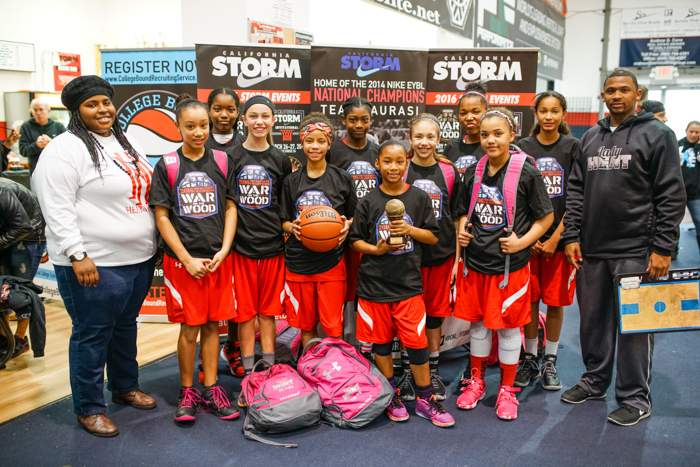 The event offered 7 divisions with both bracket and pool play. 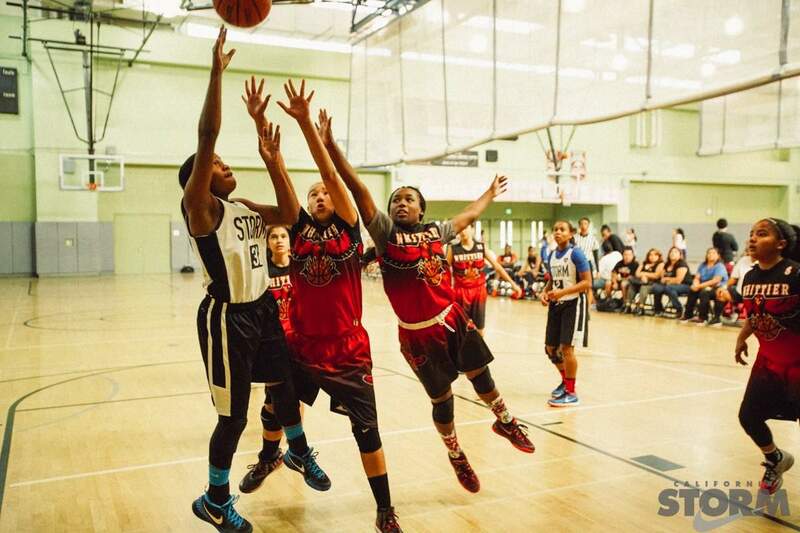 The play was fast and furious as the teams battled hard in each of their 3 games. 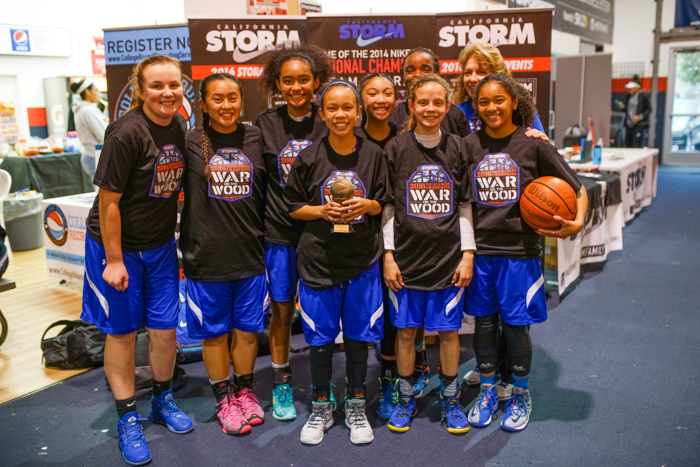 In the championship game the Cal Storm Cyclones outlasted a tough and gritty North Stars program to walk away with the title. 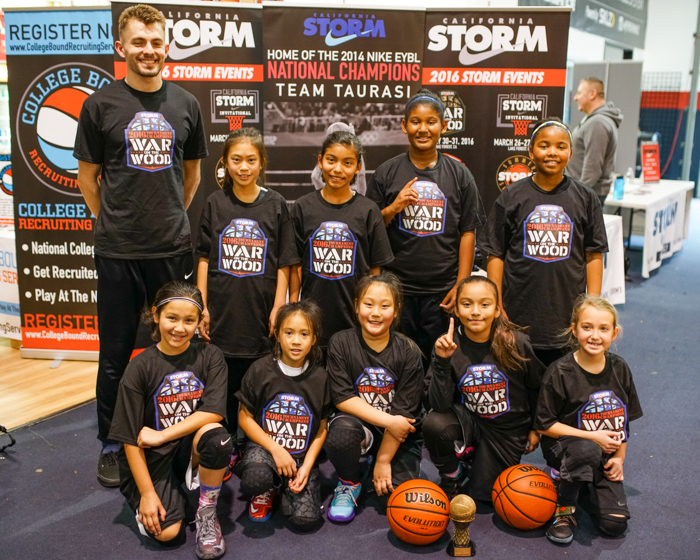 he division saw two teams really dominate their pools to meet in the final. The San Diego Saberbulls mowed their way through the pool, with their pressure and athleticism. 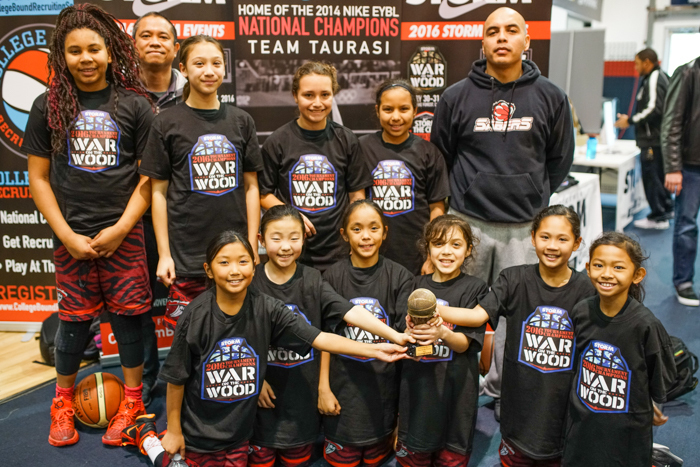 While in the other pool we saw the size and patience of the Pali Waves 11U lead them to the championship game. The championship game was the speed of the Saberbulls that outran the Pali Waves and ultimately to the division championship. The division was a showcase for the Fresno Lady Heat. They were a cut above the other teams in the division this weekend and really were very impressive with their size and speed. They used their depth to pull away from teams in the second half of games. There were two teams that really stood out in this grouping. 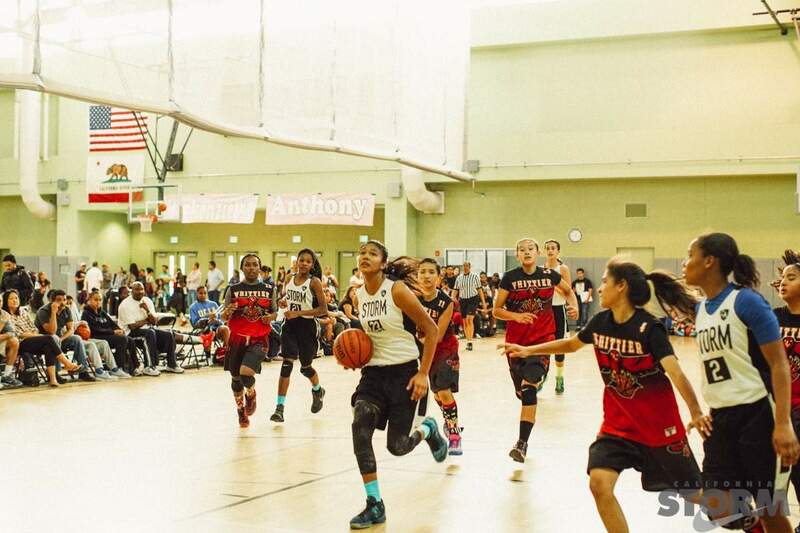 The LA Sparkles with their precision passing and press, gave fits to the other teams in their pool as they went 2-0 on Saturday and a birth into the championship game. 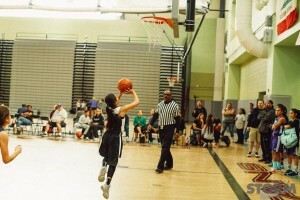 The San Diego Saberbulls in the other pool used superior height and attacking the glass to power their way to a 2-0 record while being pushed by SoCal shooters. 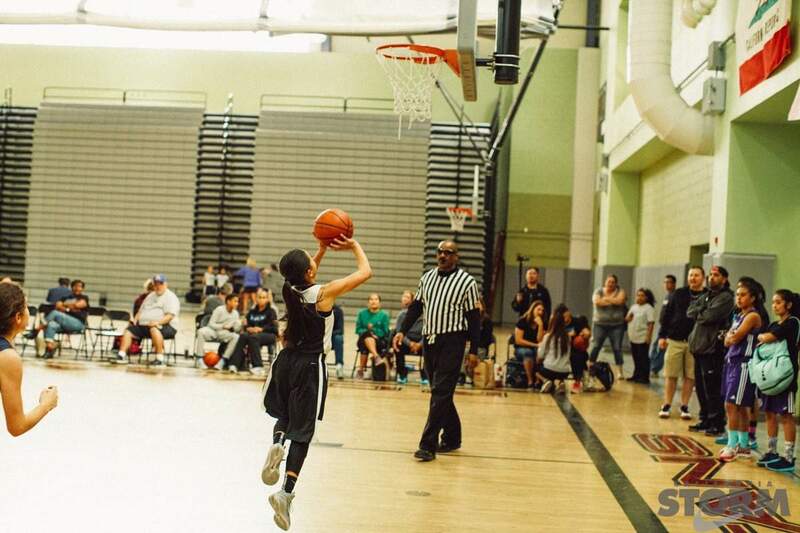 In a highly anticipated championship showdown, the inside game of the taller San Diego Sabers were able to neutralize the speed of the LA Sparkles. 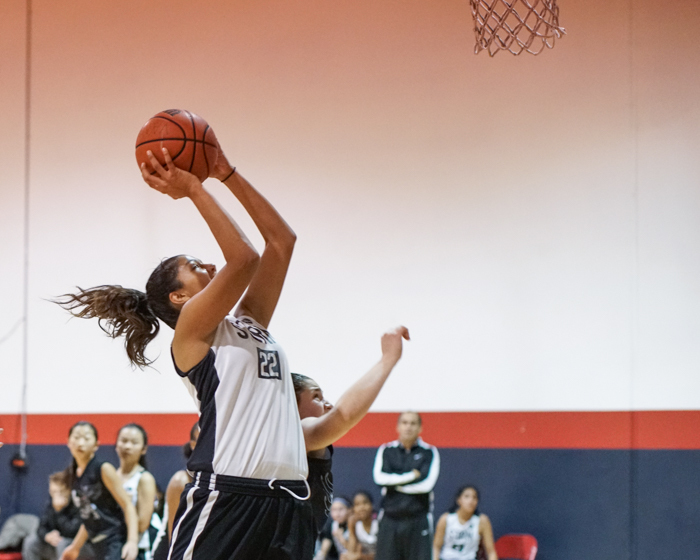 In this bracket play we saw several team really standout. 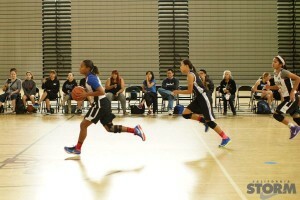 Again the Fresno Lady Heat had it rolling in the first game but ran into a very good WCP Lead Athletics from Arizona. In a close game, WCP Lead Athletics were able to hold off the Fresno Lady Heat to game a birth in the championship game. 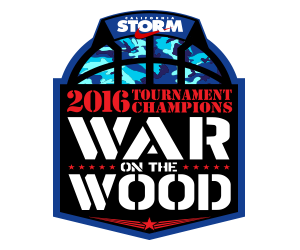 On the other side of the bracket TVT 7 used deadly 3 point shooting and precision execution to advance to the championship game. 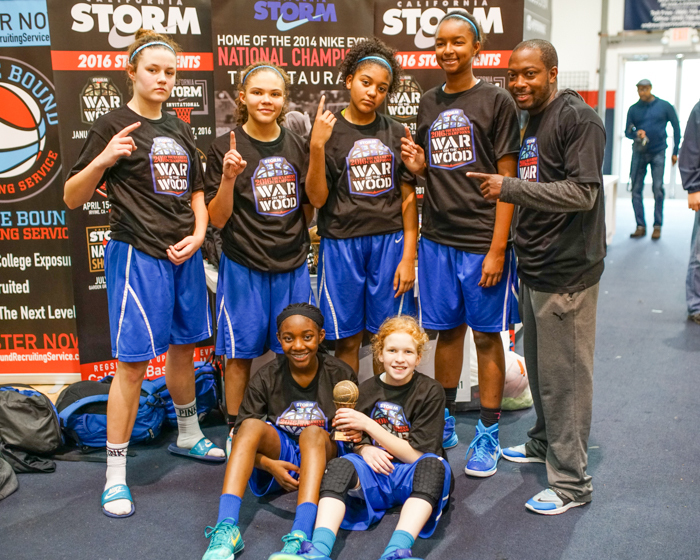 In the championship game, WCP Lead Athletics were just too much for the The Valley Team and won a hard fought battle. The division offered the most entertaining games on Sunday with all game coming down to the very end, including an overtime game. 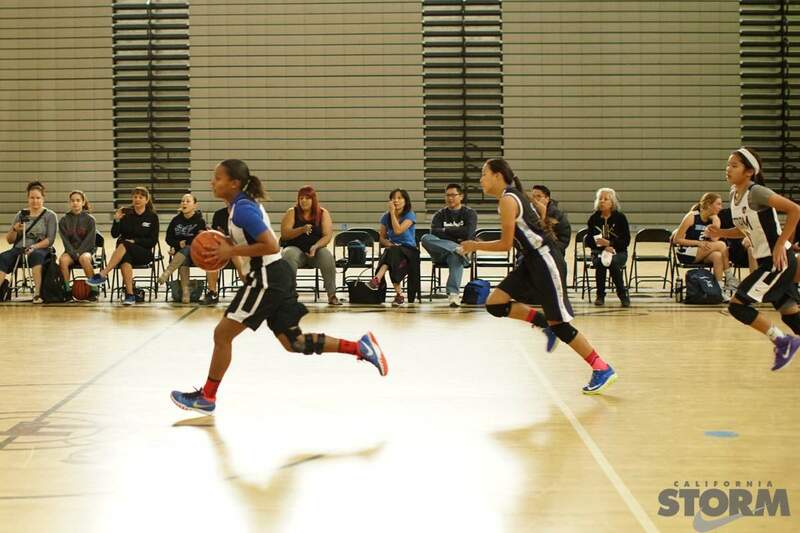 The two teams in the championship, were the perennial powerhouse SGV and the well respected San Diego Waves. 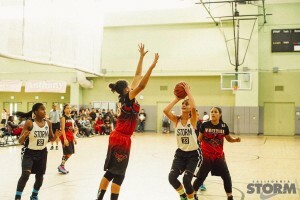 Throughout the bracket play the SD waves swept away the competition and the SGV powerhouse SGV out executed their opponents, thus making a much anticipated matchup in the final. 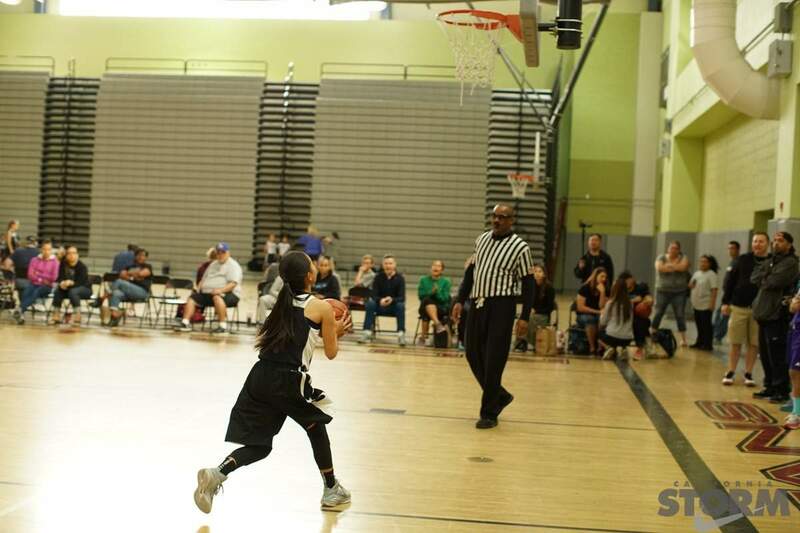 The buzz pregame was that the early favorite was San Diego Waves, but while the start of the game started in favor of the SD Waves, the patience proud SGV team keep chipping away at the lead and caught the Waves with 1:30 left in the game. 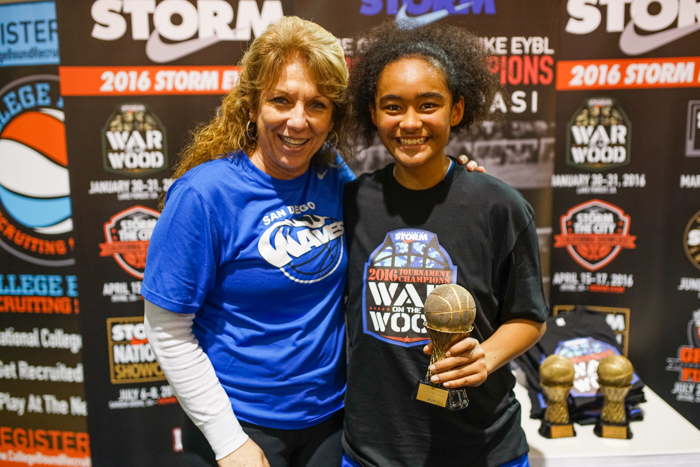 After falling behind briefly by a point, the SD Waves stellar player Te-Hina Paopao and tournament most valuable player, converted a layup and the free throw. 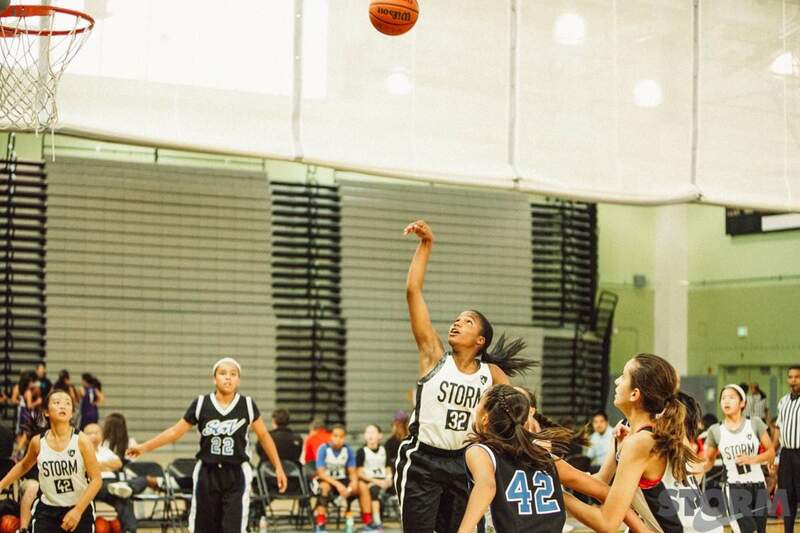 She iced the game with 2 free throws. One of the most entertaining games of the day. 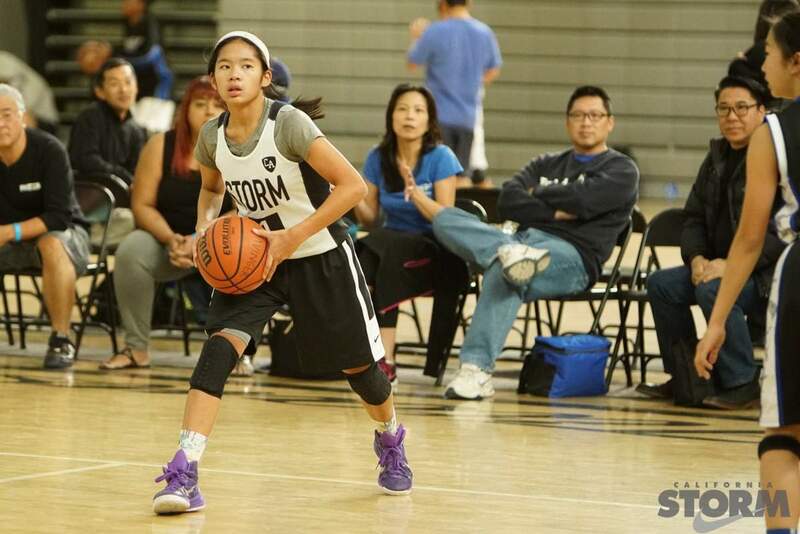 To exhibition game between the San Diego Waves and Cal Storm Black 14 saw a huge coming out party for Cal Storm player Kim Villalobos. Cal Storm Black dominated the game but it was the play of Kim Villalobos that stood out on a team of outstanding players. 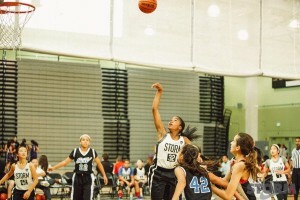 She was all over the court deflecting passes and grabbing rebounds and going coast to coast for the easy buckets.